Our unique and proprietary Mobilize is an additive which our team researched and tested to provide our customers with a low-cost alternative to other more traditional lubricious materials for reducing surface friction in medical devices. PTFE liners have been the gold standard of most medical devices within the catheter marketplace. 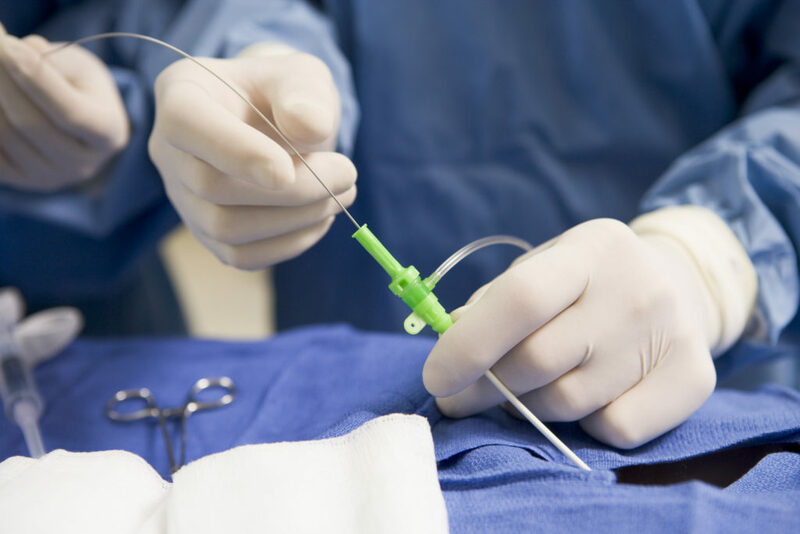 They are a highly effective path for achieving a lubricous inner surface in devices made through the reflow process, the most common laminate construction process for many types of interventional catheter-based therapies. A PTFE liner, coil or braid and an exterior jacket are commonplace laminate construction concepts though the inner liner can be changed out to FEP, HDPE or higher durometer Nylon based materials (such as 72D PEBA) as options depending on design criteria. The costs of any given reflow operation are not insignificant and include materials that are simply discarded as part of the process not to mention those components which remain behind all contributing to high cost devices. None of these options are particularly inexpensive and few seek options outside of the norm. What if an option existed that was a low-cost gateway to achieve the lubricity required? Mobilize is that gateway! Mobilize can be used in a wide range of materials, including TPU, Polyolefin, SBC, PEBA, Polyamide, HIPS, SAN, ABS, PET and PC. Each of these material types is routinely used in medical device manufacturing and each of them can benefit from Mobilize. Based on independent third-party testing, our Mobilize additive is able to achieve reduction in the COF (Coefficient of Friction) by over 25% with a reasonably low loading level so as not to greatly affect the original properties of the base material to which it is being added. The additive offers significant reductions in the force required to insert or retract a device. Ease of operation equates to a better device that is more easily handled, produced and accepted in the marketplace. In an extrusion format, for instance, the additive allows the base material properties to largely remain and as a result the process stability is good which makes the additive a great option for any operations that can run simple single lumen tubing. The added benefits of Mobilize above and beyond the standard base material properties can provide a low-cost solution for inner liners helping to greatly reduce the cost of a device that needs a lubricous inner surface yet does not need the full effect of a material like PTFE. Lubricity can be achieved in a variety of methods which can also include hydrophilic coatings. These are achieved in secondary processes typically after all manufacturing has been completed. This is another time-consuming process which is also an additional cost that does provide a major boost to the coated device in terms of lubricity. Mobilize has been designed to provide an intermediate step between the original material and a hydrophilic coating. The reason for this is that some materials do not work very well in the coating process. This is not due to the coating company but rather the chemistry of the substrate which is being coated. The base materials, additives, processing methods by company and any number of other factors play into the ability of the hydrophilic coating to bond with the substrate. Stepping out of that realm and into one that utilizes Mobilize as part of the base material can help to alleviate the costs and time associated with older technologies. Ask us about Mobilize today!